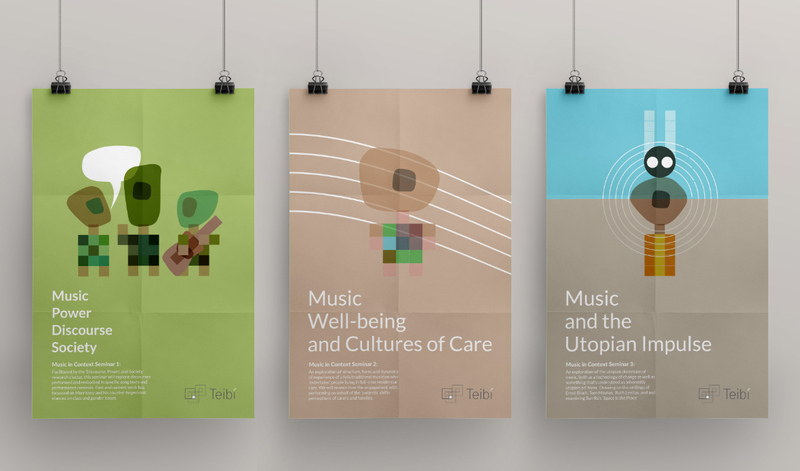 The Teibí logo which expresses the notation of 'abstract' through overlapping squares creating and identifying a core. The logo is quite formal but links in with the webpage background which is the opposite. The website background hints at sensory overload without being distracting. The top features irregular shapes that gradually cross and combine as you move downwards, becoming more honed, more structured. 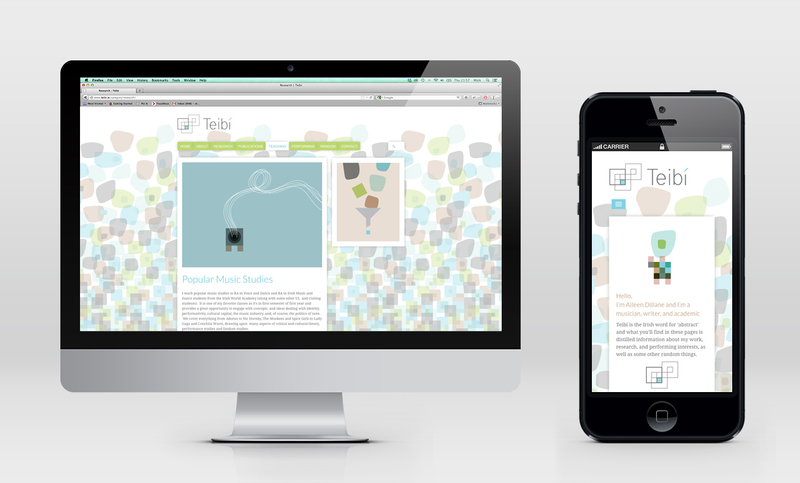 Illustrations provide a distinct personality to the site. Each page has a sidebar illustration related to Aileen's personality, while the same design scheme is carried over to the topic illustrations. The illustrations were carried through to poster designs for a seminar series.